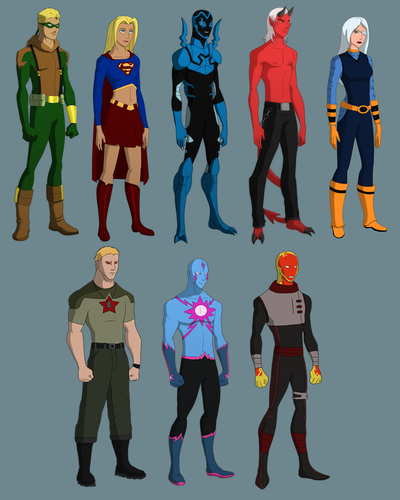 guardianwolf216: Designs of characters she wants on the दिखाना + Blue Beetle. guardianwolf216 YJ styles of characters of she wants in Young Justice plus Blue Beetle since he's already in the दिखाना. 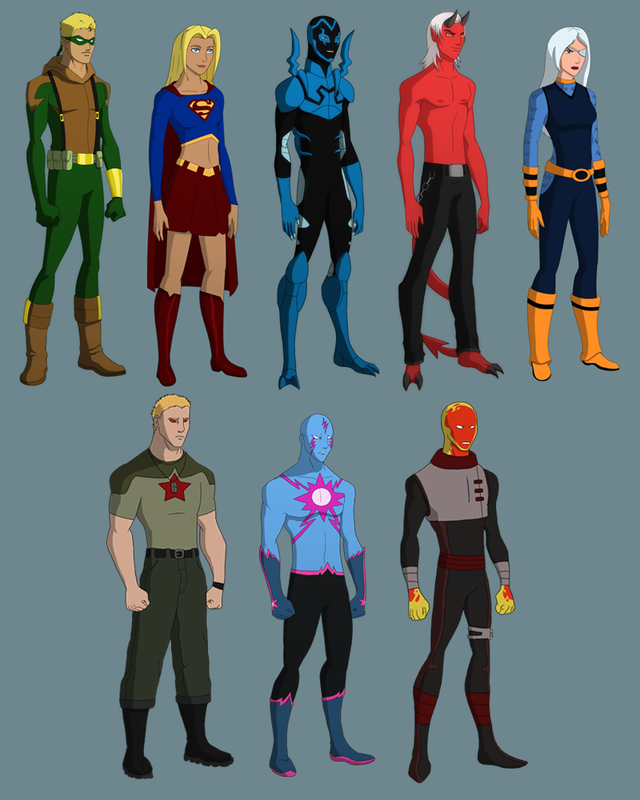 HD Wallpaper and background images in the यंग जस्टीस club tagged: young justice blue beetle red star killowat hot spot supergirl conner hawke kid devil ravenger. This यंग जस्टीस photo might contain डाइविंग सूट, डाइविंग पोशाक, गोताखोरी सूट, and गोताखोरी पोशाक. What about Raven? And blue beetle is already in it.